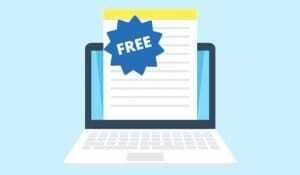 Blog > Resources > Is It Getting Harder to Get Guest Posts Published? Now and then someone comes to me talking about guest posting, and they’re usually bemoaning how hard it is these days. Years ago, it was so easy to get a guest post published, even on high quality sites. These days, it seems so much harder. Is it, though? There have been several factors conspiring to make guest posting harder since the old days, but I’m going to go out on a limb here and say they’re all good changes. What do I mean? To understand how each of these impacts guest posting, you have to know how guest posting worked back in the days before 2011. Back then, guest posting was a simple matter of sending a post out to websites in your niche, or even completely outside of your niche. Send them an email, explain that you’d like them to host your post – conveniently already written for them – and you’ll host one for them in return. Maybe you’d offer to pay, maybe you’d dress it up in pretty language about how useful the post is, but mostly it didn’t matter. All you cared about was that a new domain linked to your site, and all they cared about was that you linked back. Most of the time, these posts were about 300-500 words long and were written in half an hour at most. Sometimes they were contracted out, written by the content mills at Writer’s Domain or Textbroker. Sometimes they were just spun content. Occasionally you might even just send the same post out to dozens of different sites. After all, it’s not like you care if it ranked, and they weren’t all that likely to find it, and duplicate content didn’t even matter back then. This led to a world where most blogs were a mess of low quality content. If you searched for a common SEO term on Google, the entire first page would be different domains all posting the same content, word for word, often with a link changed out. 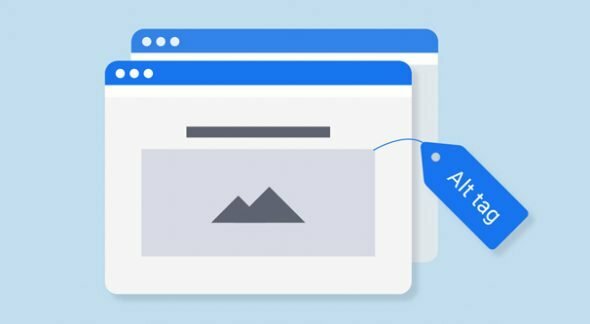 In some busy niches, there could be over a dozen pages of different sites all hosting the same content. Obviously, this was of no use to anyone. Google knew a change needed to happen, and they rolled it out in February of 2011. That was Google Panda. Panda was a major algorithmic update, of unprecedented scale. It dramatically changed what worked on the internet, as far as Google is concerned, and changed the face of search forever. 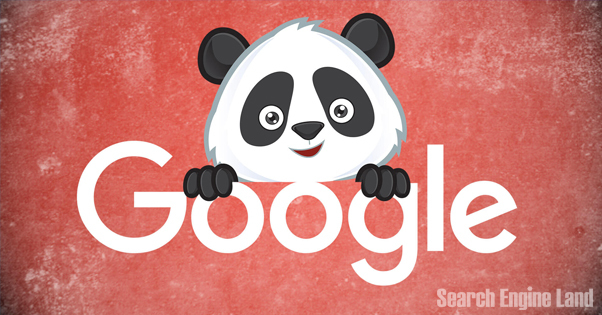 Google’s Panda update explicitly penalized pretty much everything I just wrote above. 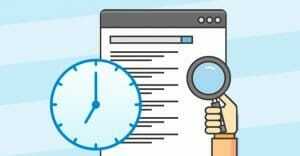 Thin content, duplicate content, low quality content, content farming, poor quality sites, and sites with far too many ads compared to content were all penalized. This meant the typical strategies went out the window. Sending the same guest post to a dozen different sites meant that if more than one published it, all existing copies of it except the first one would be demoted as copied content. Those bland 300-word posts were thin content, with no value to be found, so they were demoted. 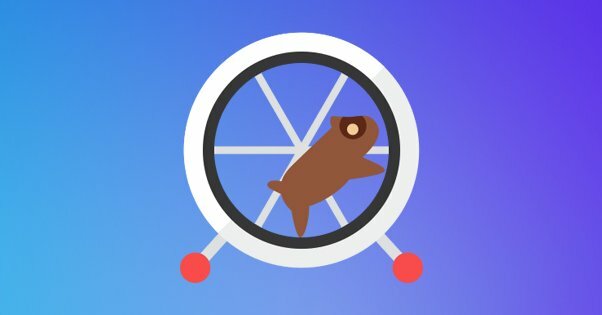 Suddenly, guest post marketers needed to put real time and effort into creating unique content for every site they reached out to. This was the first major change. But hey, at least they could still do it, and get value out of the links. Just tell Textbroker to bump up the post length to 1,200 words and get cracking. Maybe buy a spinning app to take one post and make it a dozen unique posts to send out. That’s when Penguin came in. 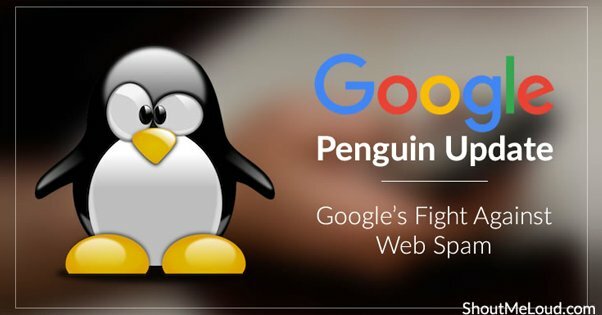 Google’s Penguin update followed on the heels of Panda, in 2012. It took a different tack compared to Panda; rather than attacking poor quality content, it attacks abusive link practices. Link schemes such as blog comment spam and link wheels were penalized when detected. This also affected a lot of private blog networks. Penguin also hit keyword stuffing, which eliminated a lot of the lower end of the “better” content people were producing for guest posts. Penguin didn’t have quite the same impact, but it did make one thing harder: guest post links. In response to Penguin, a lot of sites started adding the NoFollow attribute to links in posts they don’t write themselves. Some sites, including many major sites like Forbes, Inc, Entrepreneur, and HuffPo, all implemented broad sweeping NoFollow changes to every link on their site. After all, better to be safe than sorry. This raised the bar for getting a worthwhile guest post, and it drove a wedge into marketers. The low quality spammers still exist and still send out pitches even today, figuring that if they send out 10,000 emails and 5 of them answer yes, that’s still five links. The high-end guest posters carried on, producing high quality content because that’s what they wanted to do in the first place. Only the middle range, the people with scruples but without the name recognition necessary for easy guest posting found it much harder to succeed. This is where Matt Cutts comes in. No, Matt Cutts is not the name of an algorithm update; it’s the name of the former head of the Google webspam team. He was also the public face of Google to marketers for quite a while, producing videos and writing blog posts about what was coming down the pipe. If you’re familiar with guest posting at all, you’ve probably seen his Decay and Fall of Guest Blogging post. If not, well, there it is. Feel free to read it. Published in 2014, this post was Matt’s way of addressing the thin, low quality spam every webmaster was receiving in bulk. You can see an example of such an email in his post. Someone offering to write a generic “high quality” post that demands a link in return. Obviously, these people are trying to abuse links in an artificial manner. 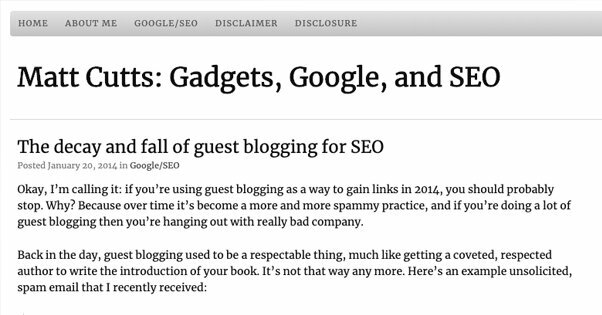 This was the start of Google implementing policies to make low quality guest blogging actively harmful to the sites that host the posts and the sites that are spamming them out, as a way to disincentivize the whole practice. Now, this didn’t kill guest posting entirely. All it did was make it harder yet again. Thankfully, since then, there haven’t been any major anti-guest-post algorithm changes. We’re pretty much in the same place we were by the end of 2014, when the dust settled from that post. Is guest blogging harder today than it used to be? Unquestionably yes, and the reason has to do with all of the above. With the history lesson out of the way, it’s easy to see why guest posting is harder than it ever has been before. Is it harder today than it was last year? Probably not. Will it be significantly harder this time next year? I doubt it. I think guest posting is in a pretty good place right now. Guest posting today is about a lot more than just the link. If you’re going out just to get followed links, you’re going to have a tough time of it. All the best sites only do nofollowed links, and the ones that offer followed links are very, very hard to get into. That, or they’re low enough quality that they won’t really benefit you for getting it. Today, successful guest posting means recognizing that you’re getting other benefits out of the post, and treating it accordingly. Your post is giving you a byline, so the content you write needs to be high quality so it reflects well upon you. It’s name recognition, but moreso, it’s recognition of your profile photo. People read a post and associate it with your avatar, and if they like it, they may recognize you in other locations and attribute you with that pleasant feeling. Guest posting may also be about the traffic, though that can be a bit of a bleak outlook in some circumstances. Posts like this one indicate you’re not getting much if any lasting traffic out of a post, though I always wonder: what is the context of the link? I always highly recommend using a link that leads to further reading, rather than any sort of homepage, landing page, or unrelated post. You want to poke the curiosity gap – just short of clickbait – and get people to click through that way. I don’t think Google is going to do anything to significantly hurt guest posting in the near future. If it gets harder, it’s because of competition, not because of Google. 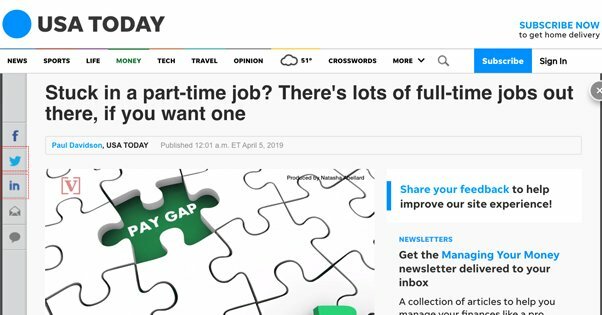 After all, major sites only have so many slots in their editorial calendars, and if more and more people are pitching high quality posts, competition is fierce. With all of that in mind, here are my tips for successfully guest posting today. Take it slow. Building a genuine relationship can’t be rushed. Instead of cold emailing an editor, you might consider engaging with them on Twitter or on another social network just to build that relationship before you ask for favors. Create a high quality pitch. Above all, your pitch needs to be personalized. That means understanding the site you’re pitching, as well as the specific channel or vertical within that site you’re reaching for. It also means understanding their audience and their preferred perspective. Follow up, but carefully. A lot of blog editors are overwhelmed by low quality guest post pitches and other messages, and it’s pretty easy for even a good post to slip through the cracks. Following up to remind them of your pitch is a good idea, but you don’t want to be annoying about it, and you don’t want to drive them to decline you just to get you to shut up. Always produce content of the highest possible quality. Every post you publish on a site that’s not your own is a representation of who you are to an audience that doesn’t know you. Put your best foot forward. Also, keep a portfolio of your top published pieces and link to them in your pitch emails to showcase what kind of content you can produce. Make sure you’re always following instructions. Every tip I give you should be followed with the caveat “Unless the site says otherwise.” If they want a full prewritten piece rather than a pitch, give them the piece. If they want you to submit through a contact form rather than an email, do so. Breaking away from the pattern – unless you have a close personal connection with the editor – is just going to get you ignored. Don’t give up. A lot of sites will ignore you until you reach some arbitrary threshold, either of persistence or of saturation in other sites throughout the market. It’s always a good idea to look for guest posting opportunities around your industry, just to broaden your horizons. Obviously, there are a lot of good tips and articles on this site and others about guest posting, so do as much reading as you need to feel comfortable. Set your sights high, but don’t be afraid to fail. Some sites will ignore you time and time again, only to invite you to post later once they see you on other sites. You never know when the snowball build-up of past efforts will bridge the gap to new heights.